Modest Mouse has been in Louisville pretty regularly the last 3 years – a Forecastle set, Iroquois show and now this Palace gig. Every single time, they get people to show up and sing along. With their newest album being 2015’s Lampshades on Fire, we got to hear pretty much the gambit of big hitters all night. The near capacity crowd appreciated it for sure. 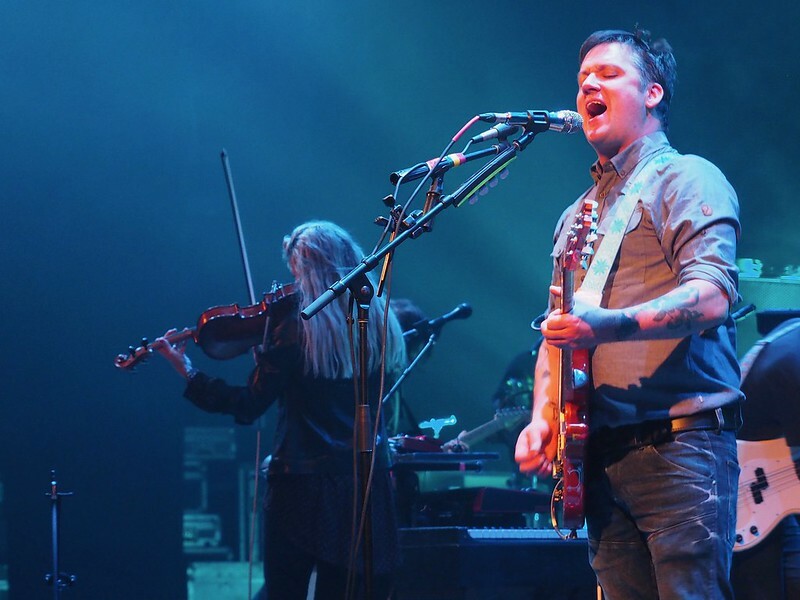 Isaac Brock is kind of a weird dude. He like mumbles and kind of has a lisp and is like a quintessential indie artist. We love it. Someone yelled a comment about his communication difficulties and his response was, “Well that’s what I do…sing and mumble..” We enjoy his peculiar nature and the heterogeneity of a Modest Mouse show. Til next time, friends. For more photos from the night >> click here or on the photo below. Thanks for the discovery, I’m hooked! I wish they could come and see us in the UK. Also, I loved the pictures!